Posted on March 23, 2016 by admin wrote in News. 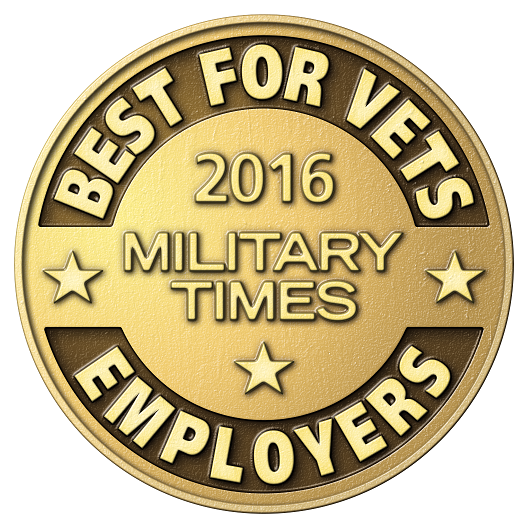 Drexel Hamilton, a Service Disabled Veteran Owned Broker-Dealer, was named to the Military Times 2016 Best for Vets list as one of the nation’s top companies for military veterans. The list recognizes firms that demonstrate a commitment to providing opportunities to America’s veterans. Companies responded to a more than 90-question analysis of a company’s efforts to connect with veterans and provide an environment for success. They were then evaluated based upon company culture and policies that cater to military veterans when conducting and scoring the seventh annual survey. The firm placed 46th overall, second among veteran-owned businesses. The firm was also the only veteran-owned financial institution to be included on this year’s list. Drexel Hamilton currently employs 41 military veterans, 21 of whom are recognized as service-disabled veterans. Ten of those veterans were hired in the past year, one of the key categories used for evaluation in the list. Drexel Hamilton, LLC is a New York-based full-service institutional broker-dealer focused on capital markets, equities, corporate debt, government agencies and municipal finance. The firm was founded in 2007 on the principle of offering meaningful employment opportunities to disabled veterans desiring a career in financial services. With more than 90 professionals, including 41 military veterans, 21 of whom are Service Disabled, Drexel Hamilton has offices in Philadelphia, New York, Chicago, Jacksonville, Houston, Boston, Milwaukee, Lincoln, San Francisco, Detroit, and Atlanta.